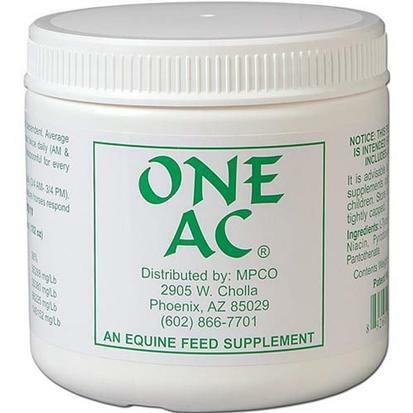 One AC was developed specifically for horses with performance-robbing anhydrosis (reduced ability to sweat). The ability to sweat is crucial to the performance and health of a horse. A single package of ONE AC will last a single horse approximately 30-32 days.